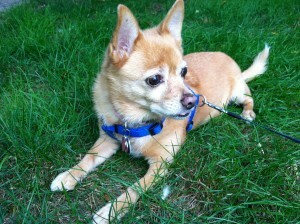 I went out to walk my orange dog this morning and wound up with orange shoes. 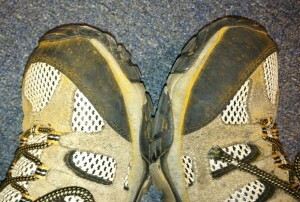 And no, the orange dust all over my shoes was not orange dog dandruff, but masses of rust spores. Interestingly enough, when I took a closer look around the ‘hood, I found that we had two different kinds of rust active in the grass. 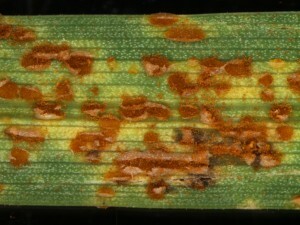 The Kentucky bluegrass was infected with stem rust, which is caused by the fungus Puccinia graminis, but the ryegrass had stripe rust, which is caused by Puccinia striiformis. Being cousins, both of these rusts have similar life stories. They both have 5 different types of fruiting bodies and spores (macrocyclic) and they both have a non-grass host (heteroecious) in their life cycles. The fruiting body on the grass host is called a uredinium. 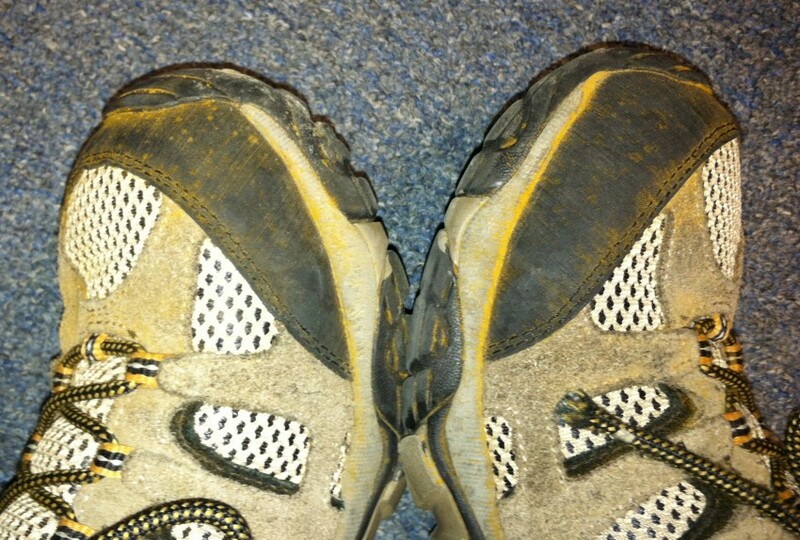 Uredinia erupt from infected leaves and spew hundreds of urediospores that blow all over the place and end up on your shoes. 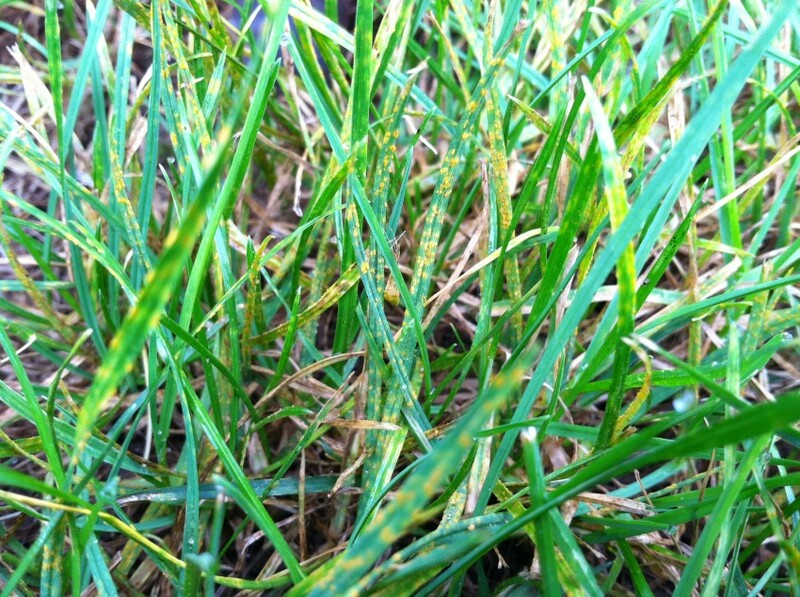 Urediospores constitute the repeating stage of the disease, which means that they can cause infections in other grass plants and do not need to move to an alternate host. 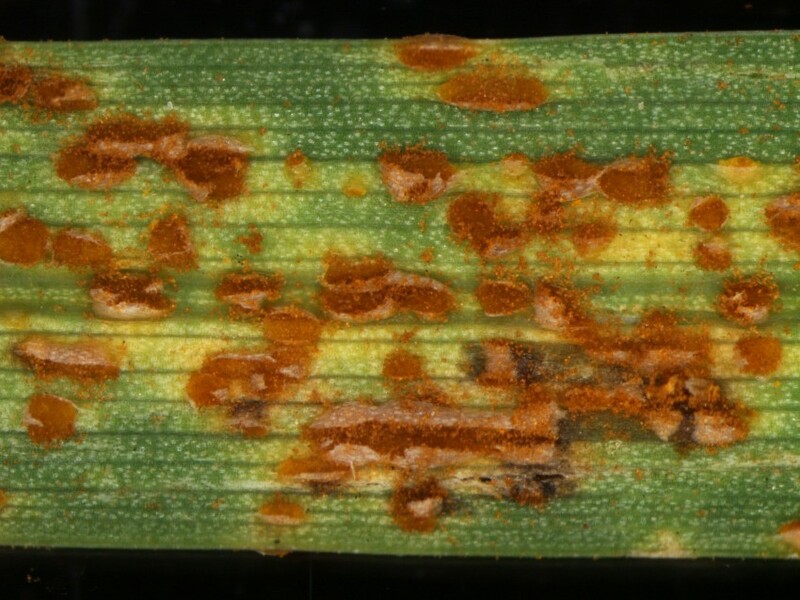 (The alternate host for stem rust is barberry.) With all the spores moving around, if the weather is suitable (68ºF to 86ºF and moist), the disease can flare to epic proportions very quickly. 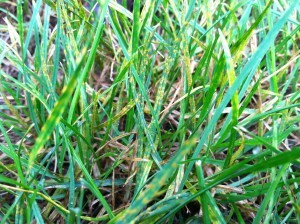 Fortunately, rusts diseases do not kill much grass. In fact, these fungi can only parasitize living plant tissue, so it is not in their own best interest to knock off the food source. 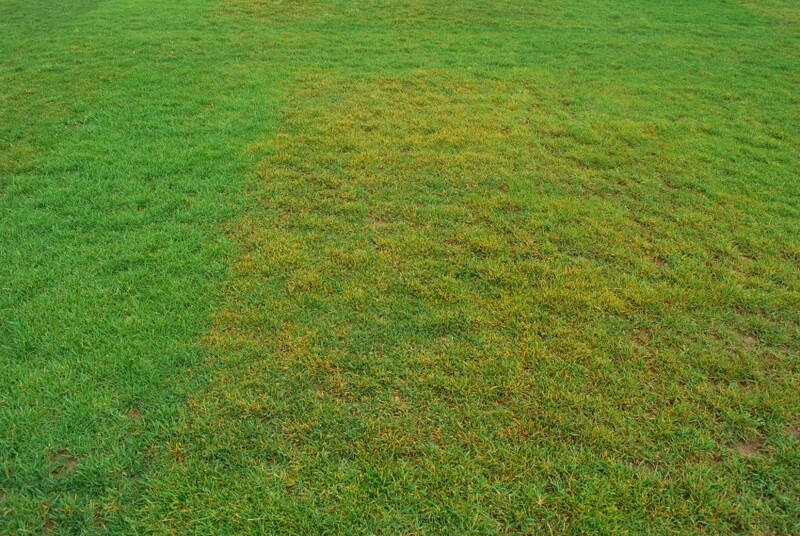 Infected plants may lose leaves and turf stands may yellow and thin, but generally the grass will recover from the infestation. 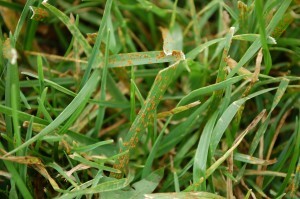 As such, rust diseases are usually more severe on swards growing under stressful conditions. 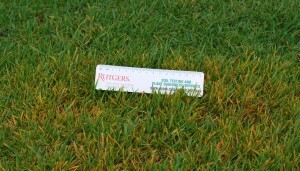 Typical predisposing conditions include drought, nutrient deficiencies, low mowing heights, and shade. 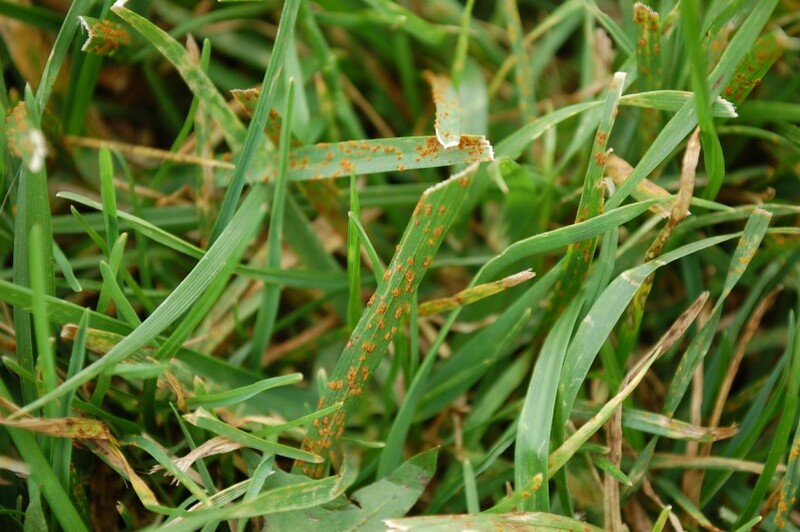 I am not saying that slow growing grass is the only grass that gets rust, but that the impact of an infection is more severe on compromised grass rather than on a generally healthier stand. Which, of course, brings me to my normal tirade about disease management. 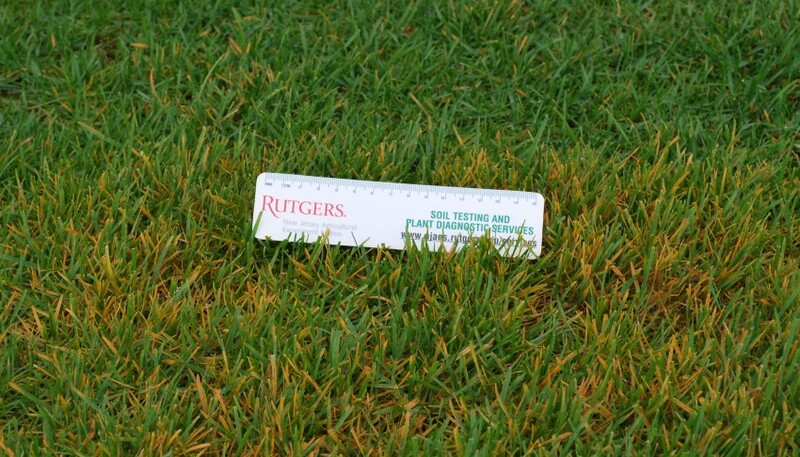 Nothing fancy here, just use your agronomic tools to maintain a healthy turf and when the weather changes, the grass will grow right out of the disease. No harm, no foul. 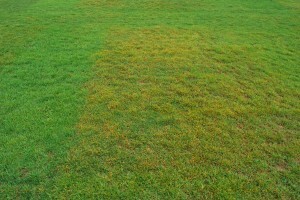 Again, generally healthy turf tolerates the disease rather well and will recover like nothing ever happened. BTW – did you see the wicked dollar spot this morning? 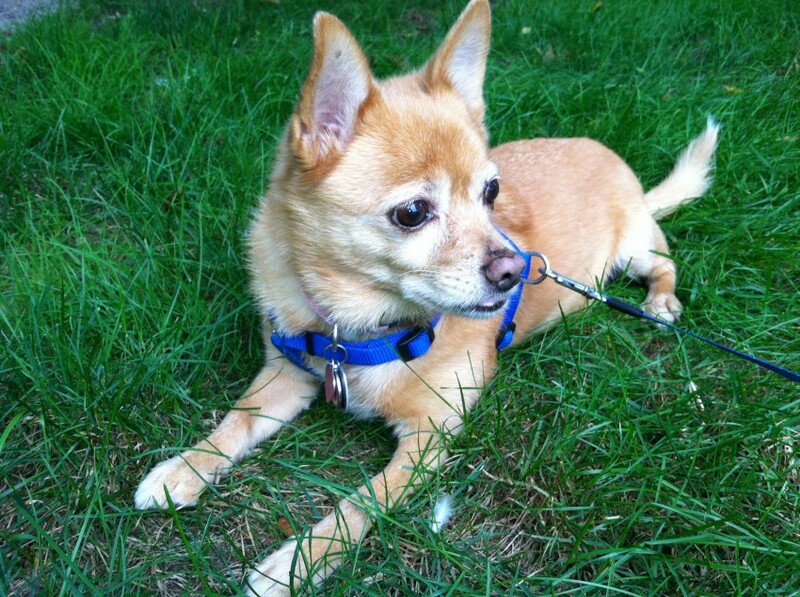 Now dollar spot, that is a whole different ball of fur!